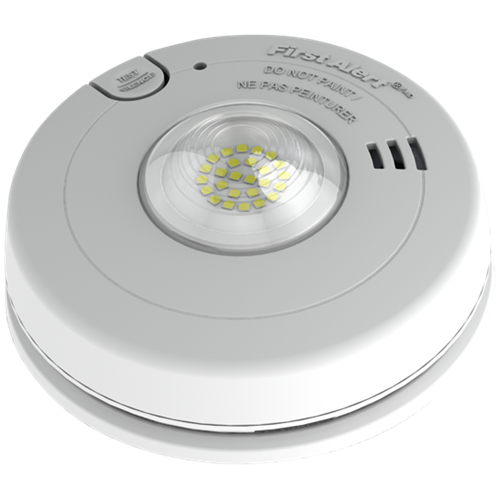 The BRK 7020BLSA is a combination smoke alarm with built in 177 Candela LED strobe. The LED strobe is maintenance free and designed as a visual indicator for the hearing impaired. The 7020BLSA features a 10 year sealed lithium backup battery so you don't have to worry about replacing batteries for the life of the unit. 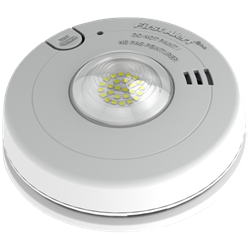 The slim and compact design makes it half the size of older Xenon based smoke/strobe alarms. The smoke alarm comes with a quick connect plug with pigtails and it can be interconnected with up to 18 BRK and First Alert units with smoke, heat, CO alarms and relays. Maximum of 12 smoke alarms may be interconnected. The 7020BSLA is designed to mount on any standard electrical junction box up to 4 inches. This is an improved version of the 7010BLSA that uses LED (instead of Xenon bulb), is half the height, and now includes a 10 year lithium battery.